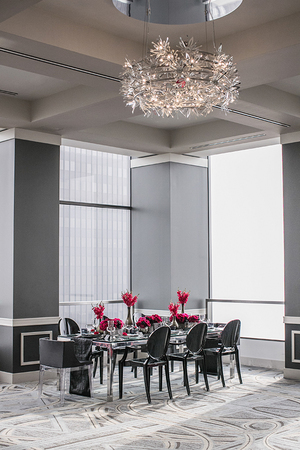 "A sleek and modern look is what we envisioned for the tablescape, using straight lines and tones of grey and black. 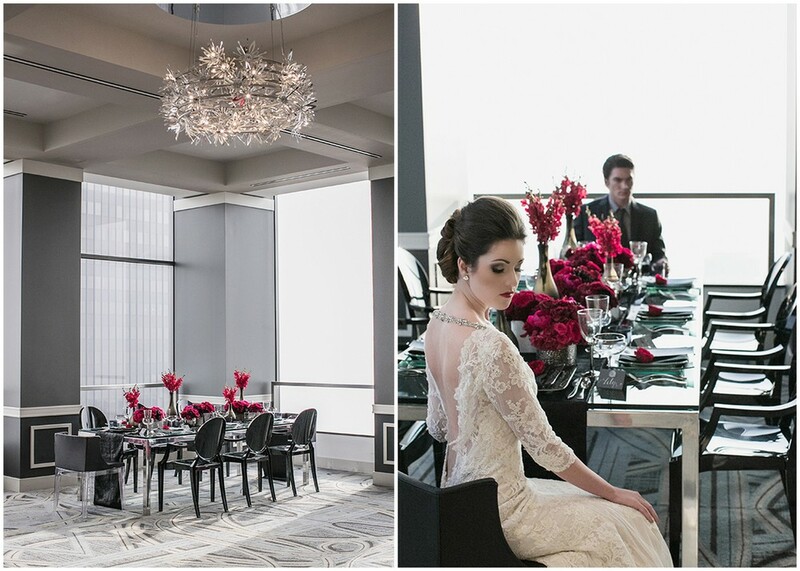 The glass table combined with the smokey grey ghost chairs and black leather end chairs from Form Decor worked perfectly, as if Christian Grey had designed it himself," notes Trina Schmidt of Trina Schmidt Weddings and Events. 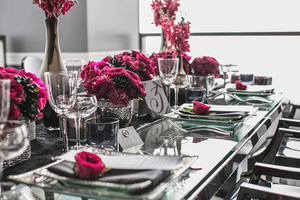 "We added beautiful red floral to soften the table for that romantic look. The glass hammered silver rimmed plates, long sleek flatware and mix-matched stemware were selected carefully to continue that modern, unique design. A faux leather table runner, matching pillows and black satin napkins, all from ModMix Studio completed the look." There's not a photo in this set that doesn't make our heart race- We're so excited to share our favorites with you! 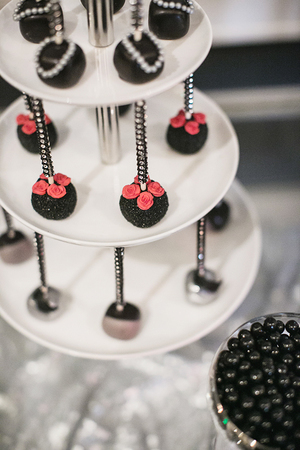 Don't forget to check out the California Wedding Day feature HERE, and visit the talented vendor team listed below!